When termites invade a property, they can cause extensive damage in a matter of weeks or months. Termites eat wood, and they can tear through the structural supports of your home. This damage can be extremely costly to repair, but it can also create an unsafe living environment for you and your family. 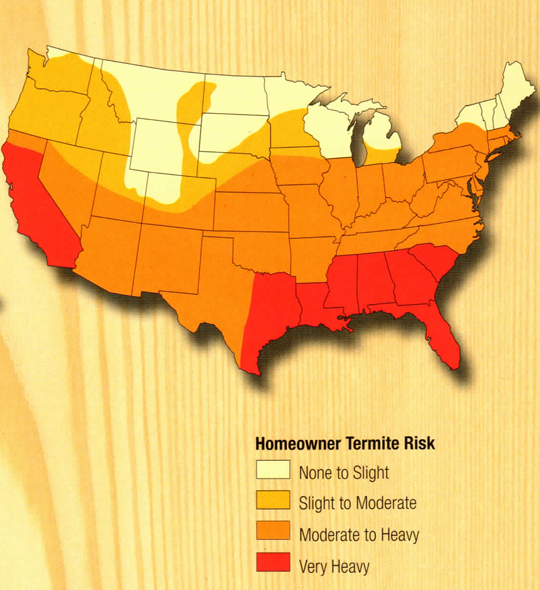 Having termites in your home is a serious problem that you shouldn't ignore. By getting termite control services, you'll be able to eliminate the pests before they can spread and build more nests in your property. You'll have peace of mind about your home, and you won't have to worry about structural damage. 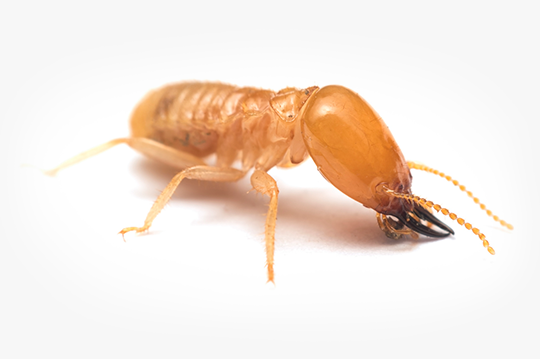 Paying for termite control services now will help you save money in the long run. All of our termite control technicians are registered professionals who are well-trained in the extermination field. They know how to spot the signs of a termite infestation, and they're able to quickly determine what steps need to be taken to resolve the issue. Our company is committed to respecting homeowners and their property. We want you to have a safe home to live in, and that's why our technicians aim to find permanent termite control solutions. Our professionals are experts at eliminating termites from many types of houses and business properties in Atlanta. At Bug-Off Exterminators, we understand that having a termite infestation can be stressful to deal with. You can depend on our technicians to take care of everything in a professional way. During your first service visit, an inspector will evaluate any signs of termites and draw a graph of the property. They'll give you a quote for the needed treatment. We're honest about our pricing, so there won't be any surprises when you get your bill. The second step in our process is the treatment itself. We use Termidor termiticide, a liquid treatment which is the best product available for eliminating termites. A team of two to four technicians will work together to dig a trench around your property. They'll then drill through the slab foundation and apply the Termidor. As our team completes each of these tasks, they'll be as efficient and precise as possible. Our mission is to make sure termites are permanently eliminated, so we offer a guarantee in the form of an annual renewal inspection. Every year after your initial treatment, we'll return to your property and make sure termites haven't moved back in. Think of it as an insurance policy for your home. If you've seen signs of termites around your home, don't delay action any longer. It's important to order termite control services before the problem grows. Get in touch with us if you'd like our technicians to conduct an inspection. Termite colonies contain a minimum of one queen and one king who live in the center of the colony. During her lifespan of as many as 30 years, the queen termite will be devoted to reproducing new termites. Termite eggs, which later hatch into nymphs, are produced by the queen. Within one year, the queen termite will lay thousands of eggs. Before an egg turns into a grown termite, it must enter the nymph stage where it develops into either a worker, soldier, reproductive, or supplementary reproductive. The most common of all castes, worker termites have jobs such as building, making repairs, gathering food, and caring for the rest of the termites. These workers have no sight and no wings. Wingless, unable to see, and sterile, these soldier termites devote their lives to protecting their colony. These lucky termites have the opportunity to start colonies of their own. Once they pair up with another male or female during a swam, they will seek out a place to start their own group of termites. In some cases, the king or queen may die. When this happens, the supplementary reproductives step up to take over their place. They can also help to reproduce in any circumstance, thus increasing the size of the colony.